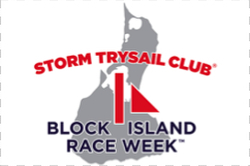 (Block Island, Rhode Island)- The Storm Trysail Club’s Vice Commodore & the Block Island Race Week Event Chair, Ed Cesare, stated, “preparations are well underway for Storm Trysail’s Block Island Race Week 2019. With format developments both on and off the water, the 28th edition of the biennial event promises not only a high level of windward / leeward competition for those that seek it, but an equally spirited but more relaxed experience for teams that want to both race hard and enjoy other aspects of the week as well." IRC and ORC yachts on the “Red Circle” will experience “Solent Style” racing with one or two windward /leeward races, followed by a race around drop and government marks. This format tests different tactical and boathandling skills and reflect the racing at Cowes Week, the progenitor for Block Island Race Week. We expect a number of IRC boats from the UK to be at the event, so they should feel right at home. A third on the water development is the “Plus One” division. Designed to reduce crew logistics for owners with busy schedules, the Plus One concept promotes “right sized” crews by allowing one crew member per 10 feet of waterline of the yacht “plus one” more. We’ve found that jibes always go better offshore with one watch below, so don’t be surprised to see some crisp boat handling on this course, notwithstanding the need for fewer sandwiches and bunks (ashore or afloat)! Of course, one-design classes such as the J/105s and J/88s will hold Championship Regattas and the PHRF Fleet can expect Storm Trysail’s usually high level of race management where full boar windward / leeward duals will unfold. Ashore, we are bringing back the lay-day! The specific day will float based on weather but there will be one. The Young Member’s Committee, led by Erick Stork and Will Gammell, are planning a full slate of events in cooperation with sponsors Musto clothing and North Sails. Look for more on this in the coming weeks, such as fun team competitions (to include the traditional tug of war) along with more relaxed activities (think Niki Beach, for those that know! It will provide a well-deserved day of fun for all. Additionally, this year the tent will be open right after racing, so crews can gather for social time before heading back to their house for dinner.” For more STC Block Island Race Week sailing information Add to Flipboard Magazine.